The proliferation and abuse of medical/psychiatric drugs and illegal street drugs is one of society’s major concerns. 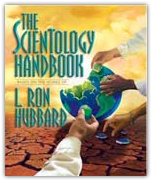 Learning early on that drugs were a barrier to spiritual betterment, L. Ron Hubbard subsequently researched the subject of drugs as part of his development of Scientology. His breakthroughs in this field have not only helped Scientologists, but have revolutionized the entire field of drug rehabilitation and saved thousands of lives. Some of his further writings on the subject are listed here and recommended for additional information about this societal scourge. The authoritative text on the world’s most effective drug rehabilitation program. The Purification program as developed by Mr. Hubbard is not a program for one’s body, but is intended to enable an individual to make better and faster spiritual improvement in Scientology processing by getting rid of residual drugs and their effects. This book comprehensively details the program and all its aspects. Explains the discoveries which led to his development of the program and provides an exact description of how and why the program works. Gives all necessary data and technology to enable a person to do the entire program. The truth of the matter is a person is much better off without drugs including psychiatric and medical drugs. This fact is undeniable once one reads this book. But, unlike those who merely decry the problem, Mr. Hubbard provides a uniformly workable solution. A fully illustrated, easy-to-understand explanation of drugs and what they do to a person. Shows how the Purification program eliminates drug deposits and other toxins from the body, improving one’s well-being, alertness and ability to progress spiritually.